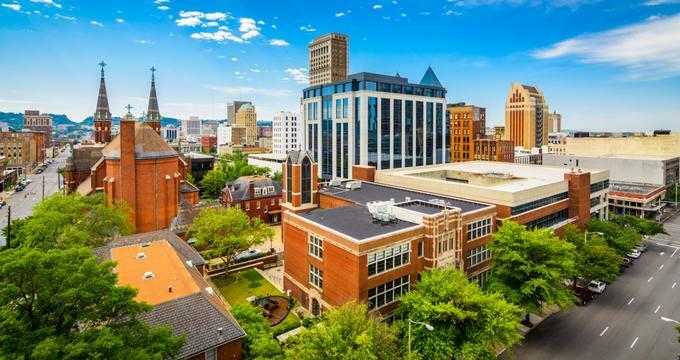 Alabama has it all when it comes to providing an excellent variety of enticing venues where you can give free reign to your imagination and plan your dream wedding. If a rustic, country-style wedding appeals to you, there are several farm and barn venues that can be personalized to suit your theme. If you are looking for something more sophisticated and elegant, you can opt to stage your special celebration at one of the lovely historic homesteads or manor houses. 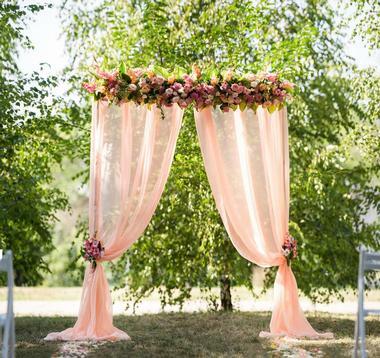 The delightful Alabama weather means that outdoor ceremonies are very popular, and you will find many wedding venues offering romantic ceremony spaces under the stars or in beautiful gardens. Be warned though – most venues book up well in advance and you should not wait too long to reserve your favorite. Originally built as a large family home, Sterling Castle (located about 15 miles from Birmingham) now has a second life as a privately owned and operated romantic venue perfect for both traditional and utterly unique weddings. The dramatic castle frontage forms a perfect backdrop for your wedding photos, and the venue has the added advantage of being suitable for both your ceremony and the reception. Smaller parties of up to 50 guests can be accommodated inside the castle, while the adjoining reception facility can accommodate up to 300 guests. 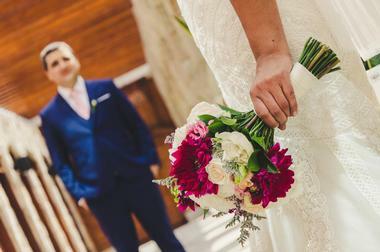 At Sterling Castle each and every wedding is entirely unique, and your personal wedding planner will ensure that every moment of your dream wedding is perfectly coordinated and tailored to your budget. Offering couples a romantic venue to tie the knot while overlooking the beautiful Gulf shore, Grand Hotel Resort and Spa is an excellent choice for both large and small weddings. The hotel has a team of dedicated wedding and events planners who are experienced in working hand-in-hand with couples to ensure that every last detail of their dream wedding will be perfectly coordinated. Most couples opt to tie the knot outside in the expansive gardens overlooking Point Clear before moving indoors for their reception in one of several elegant venues. The hotel can host not only your ceremony and reception, but also your rehearsal dinner, a bridal spa day and even a farewell breakfast. Located on an idyllic 80-acre plot overlooking rolling hills and farmlands, Applewood Farm is a great wedding venue for nature lovers. The lovely Crystal Chandelier Barn can accommodate up to 200 seated guests and boasts a dance floor and a professional stage for your DJ. Although most couples opt to hold their ceremony outdoors in one of several scenic locations, the barn is large enough to host both the ceremony and the reception in case of inclement weather. Couples may choose their own wedding coordinator or leave all the arrangements in the hands of the experienced Applewood Farm director, who will take all the worry out of arranging your dream wedding. Occupying an enviable hill-top location, the luxurious Fountainview Mansion in Auburn is an ideal location for a traditional, elegant wedding celebration. As an added bonus, Fountainview Mansion can also offer stylish overnight accommodation for both the bridal party and out-of-town guests. The Fountainview Mansion offers couples a selection of fully inclusive packages for their rehearsal dinner, ceremony, and reception, which include venue hire, tables and chairs, linen, glassware and cutlery as well as waitstaff and a cake-cutting service. All catering is provided by Moore’s Mill Club, and you can choose from various bar options, all of which include the services of a barman. Gabrella Manor is a delightful ivy-clad Spanish-style mansion boasting many elements that make it an ideal wedding venue, including a sweeping staircase (for a dramatic bridal entrance), inside balconies overlooking the stylish Great Room, and original stained-glass windows. 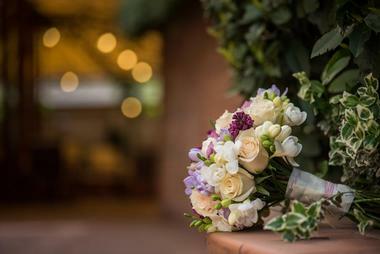 The manor is a full-service wedding and events venue and will coordinate and supply everything you need for a perfect wedding day, including in-house catering, flowers, décor, and even photography. There is a lovely outdoor area where you can stage your ceremony before moving inside to the Great Room for a reception to remember (larger groups can be accommodated in the adjoining pavilion reception area). 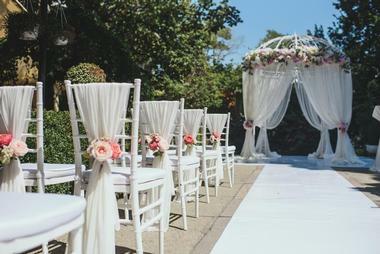 Beautiful Aldridge Gardens in the City of Hoover forms an ideal backdrop for a romantic wedding where you and your guests will be surrounded by the bounty of nature. The wedding planner at Aldridge Gardens will work closely with the bridal couple to ensure that your Special Day fulfills all your dreams. There are several beautiful outdoor venues for your ceremony, before you and your guests move on to the lovely outdoor pavilion or Aldridge House for your reception. Your wedding planner can assist with arranging all the details – several inclusive packages are available and trusted caterers and other vendors will be recommended. J & D Farms is a dedicated wedding and events venue that offers couples a wider-than-usual selection of choices when it comes to arranging their dream wedding. All wedding bookings on weekends (Saturday or Sunday) will have access to the farm for a full three days, which means that your wedding planner has ample time to set up everything your heart desires. There are multiple spaces to accommodate both your ceremony and your reception, and you are invited to visit the farm and let your imagination run wild. In addition, J & D Farms is building up a library of antique props that can be used as part of your décor at no charge. All venue rentals include the use of the Carriage House Bridal Suite and Honeymoon Cottage and the Groom’s Lounge in the Stables. Located in the heart of historic downtown Mobile, the privately owned and operated Malaga Inn offers a pretty landscaped courtyard setting dating back to 1862, which is ideal for an outdoor wedding ceremony. In addition to providing a pretty backdrop for your ceremony and reception, the inn can also accommodate the bride and groom and all your out-of-town guests on site. 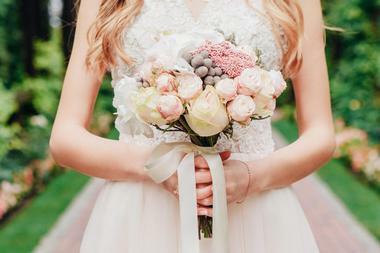 The staff at the inn can help you plan the wedding of your dreams and will suggest trusted vendors to supply everything that is not available on site, such as flowers, décor, the wedding cake, and your photographer and DJ. Planning a wedding can be really stressful but at Matthews Manor you will find a team of wedding planners to take care of every detail so that you can relax and enjoy your big day. The lovely Springville venue has three separate indoor/outdoor spaces, which include the elegant Grace Hall, Rebecca Gardens, and Micah’s Meadow. 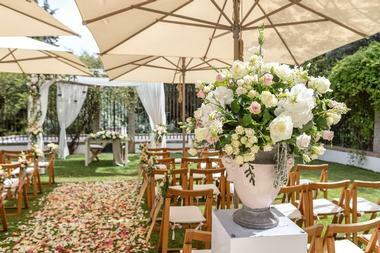 While every wedding is unique and will be planned exactly according to your wishes, Matthews Manor will arrange everything from the décor and music to the catering and even the flowers. 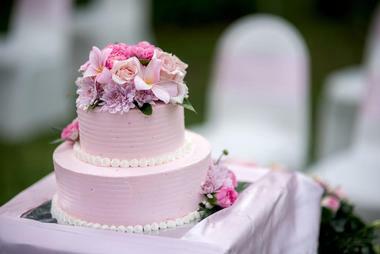 You can customize the catering to suit your budget, choose from an endless list of innovative wedding cakes, and even get the venue to host your rehearsal dinner. Occupying a very scenic location between the Mobile and Gulf Shores, the Rock Creek Golf Club is a very attractive wedding venue offering several indoor/outdoor spaces that can be customized to perfectly suit your dream wedding. You can tie the knot outdoors overlooking the manicured golf course and then move indoors to host your reception in the elegant banquet hall. The club offers a selection of inclusive wedding/event packages, and their events coordinator will assist you in tailoring the packages to suit your style and budget. 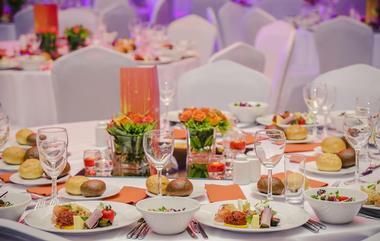 The club offers a variety of catering and bar menus, which include light and hot hors d’ oeuvres, buffets, and innovatively themed food stations. At the Sago Springs Manor, a gracious Creole-style home surrounded by paddocks and fields sets the scene for your unforgettable rustic country-style wedding. The venue offers a choice of enticing spaces that you can utilize to make your wedding day special, including a lovely forest setting where you can exchange vows. Smaller weddings can be hosted in the homestead, or you can use the house as a bridal preparation area and host your celebration in the lovely gardens. The manor offers a variety of wedding packages, which include the services of a wedding planner to take all the pressure off the happy couple. A very special added extra is the classic horse-drawn surrey carriage for a suitably dramatic bridal entrance. When you book ShellB Acres for your wedding, you get a little bit extra. The entire 13-acre property is available to your party for the full day so that you can decide exactly where you would like each part of your event to take place. The barn is an ideal place for the groom and his party to get ready, while the bride and bridesmaids have the use of a bridal suite in the main house. Most couples choose one of the outdoor spaces to exchange vows, but the house or barn can accommodate both your ceremony and reception in case of less than perfect weather. 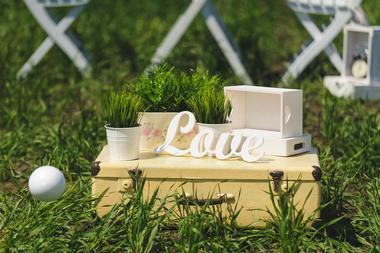 ShellB Acres allows you to choose your own caterers and vendors, which is a boon to budget-conscious couples. Boasting both an elegant colonnaded homestead and a fun red barn, the Tangarray wedding and event venue is a great choice for a country-style wedding. You can exchange your vows under the clear blue Alabama sky while your guests are seated on authentic hay bales on the lawn or opt for something a little more formal and say “I do” on the steps of the house. The lovely red barn looks great when all the lights are on and the dance floor is set up – the ideal venue for your outdoor reception. You can opt to make your grand entrance in a horse-drawn carriage or a lovely vintage car – the wedding planners will take care of all your requirements so that you can relax and enjoy your big day. 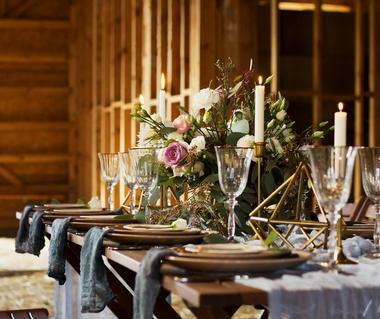 The Cabin at the Lodge in Blount County is a delightful wedding and overnight venue that carefully combines both rustic and luxury elements to ensure that your wedding day is truly memorable. Weddings at the lodge are totally tailored to fulfill your wildest wedding day dreams, and you can choose a cherished theme or stick with a traditional style – your hosts will put it all together perfectly. The most popular option revolves around a romantic outdoor ceremony followed by an unforgettable fun reception either in the lodge or the garden pavilion. 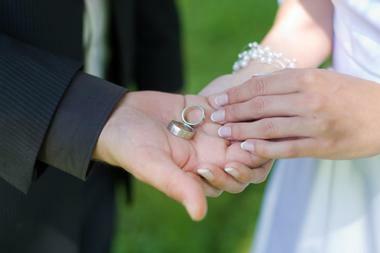 Multi-day affairs can be arranged, including a rehearsal dinner and accommodation for one night. Dating back to 1836, The Elms is one of the first plantation houses in Alabama and is surrounded by 60 acres of forest – an ideal venue for an elegant country-style wedding. The Elms offers a wide selection of wedding packages, all of which can be customized to suit your style and budget, starting with a simple 4-hour Elopement Package and culminating in their multi-day Extravagant Event Package. You can exchange your vows out on the expansive lawns (with guests seated on draped hay bales or chairs) and choose from an indoor or outdoor space for your reception. 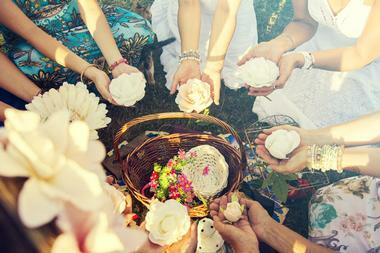 Your personal wedding coordinator will be on hand to ensure every detail of your special day runs according to plan. Located in the heart of downtown Dothan, The Grand is an historic venue that offers an authentic backdrop for a vintage-style wedding. You can let your imagination run wild when it comes to decorating the various spaces at the venue, which include three lovely ballrooms and a secluded outside terrace with rustic beams, a classic fountain, and natural rock flooring. You will have the services of a dedicated wedding planner to assist you in arranging every aspect of your day, including suggesting trusted caterers and vendors to supply all your needs. The bride and bridesmaids can prepare themselves in the lovely parlor. Occupying an enviable country location in Eclectic, the Hitching Post Farm is an ideal barn wedding venue for nature loving couples. It comprises a rustic wooden barn, which forms the blank canvas for your traditional or themed wedding décor, and a romantic outdoor lakeside area, where you can hold your ceremony and have memorable photos taken. 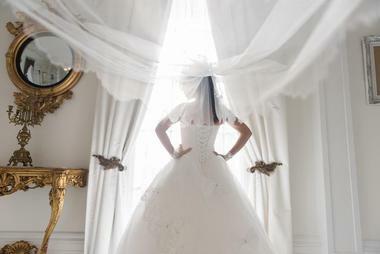 The bridal party will have the use of an upstairs dressing room, and your entire celebration will be carefully orchestrated by your personal wedding coordinator to make sure that every aspect of your very special day goes according to plan. 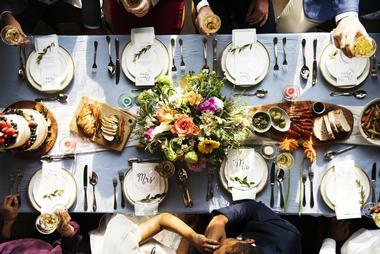 You can also host your rehearsal dinner at the venue. Your elegant wedding at The Pillars in Mobile starts taking shape well in advance as you meet your personal wedding coordinator for a personalized design meeting. 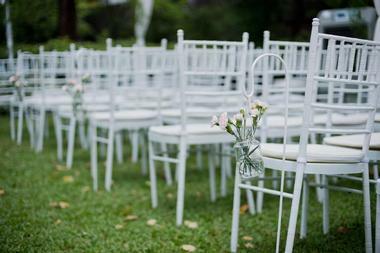 The facility offers a selection of wedding packages, which all include venue hire, tables and chairs, set-up and break-down, and even parking for your guests. You will also have the use of a dressing area for the bride and bridesmaids as well as for the groom and his attendants. You can streamline the celebration to suit your dream wedding and just about everything is possible, from a small elopement ceremony for ten to a 10-hour extravaganza for up to 200 guests. 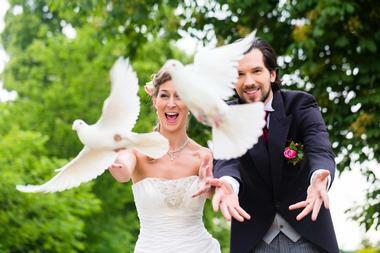 All the planning will be taken out of your hands so that you can truly enjoy your big day. The Venue at Dawes specializes in outdoor weddings set up under beautiful giant oak trees, which create a unique rustic ambiance. The venue offers several wedding packages so that even if you are on a strict budget, you will still be able to host your special day in a beautiful setting that will not break the bank. 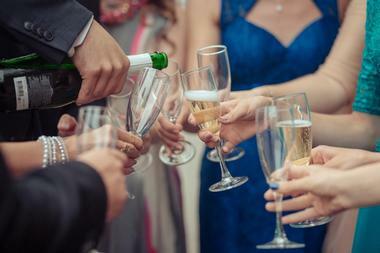 You are welcome to provide all your own catering and bar requirements (beer, wine, and champagne only) and the venue has a large stock of décor props that are available for you to rent at a very nominal price. In addition to the 6-hour budget venue rental, you can also choose the full 1-day package or even the 2-day package, both of which allow a lot more stress-free time for decorating. Couples who would like to celebrate their wedding surrounded by the magic of a working organic farm should pay a visit to Weeks Bay Plantation. This 88-acre farm boasts an endless selection of beautiful lakeside and farm vistas for your photographer to take advantage of, and you can exchange vows under the starts or under the generous canopy of the beautiful grandfather oaks. Receptions can be set up outside or in the fully renovated barn, and the venue can provide delightful farm-to-fork catering to wow your guests. In addition, there is a limited amount of on-site accommodation if out-of-town guests would like to stay over. 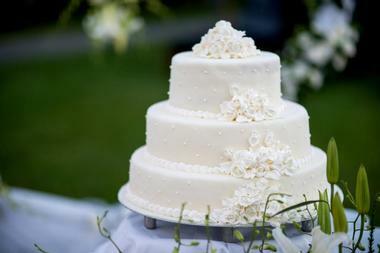 White City Weddings is located in central Alabama and surrounded by some of the best scenery in the state. 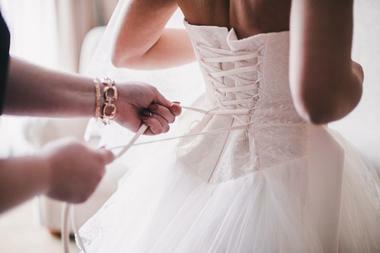 The venue prides itself on orchestrating one-of-a-kind weddings tailored to fulfill all your expectations. The bride can make a dramatic entrance down the elegant staircase, and you can exchange vows under the stars on the beautiful lakeside boat deck. All the wedding packages include the services of a wedding coordinator to take the worry out of planning your fairytale wedding. Besides providing a ceremony and reception venue, you may also book the entire lodge for an overnight stay, which can include your rehearsal dinner and accommodation for your closest family and friends. Located in the Ozark countryside, Wilkes Cove is a romantic wedding venue surrounded by manicured gardens that ooze Southern charm. You can choose from two outdoor areas for your ceremony, while the light-filled indoor reception area is a blank canvas waiting to be decorated to suit your personal style. You will benefit from the services of a personal wedding planner to recommend trusted vendors and caterers and make sure that everything runs smoothly. 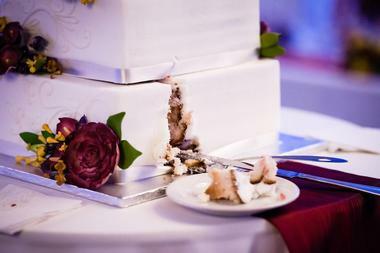 All wedding venue rentals at Wilkes Cove include two full days so that you can enjoy a stress-free celebration. There is a dressing room for the bride and her party as well as for the groom and his retinue. Historic Woodrow Hall, dating back to 1914, boasts an elegant dance hall that can accommodate 150 guests for a seated wedding. The old face-brick walls and exposed wooden beams form a fitting backdrop to most styles of wedding décor, and you can have your bar area set up in the adjoining foyer. 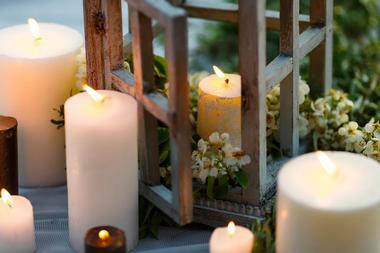 The Magnolia Room is a little smaller and is an ideal venue for your ceremony or for a smaller wedding reception. 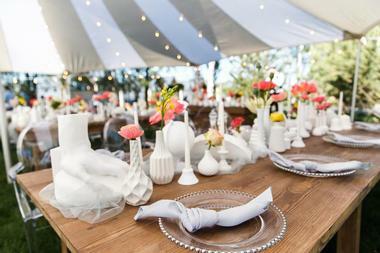 The venue provides all the required tables, chairs, linens, cake-stand, etc. and you are free to choose your own vendors and caterers to provide all the special touches you need to make your day special.